Our office provides same day CEREC service, allowing you to have crowns made right in the offfice and placed in just one visit! Missing or damaged teeth? Make an appointment with Dr. Dow for a consultation about our cosmetic dental implant restoration services and get a great smile today! 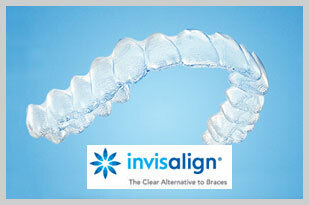 Convenient and comfortable Invisalign clear braces can change your smile without the hassle of wires and metal braces! Make an appointment today to see if Invisalign braces are right for you!